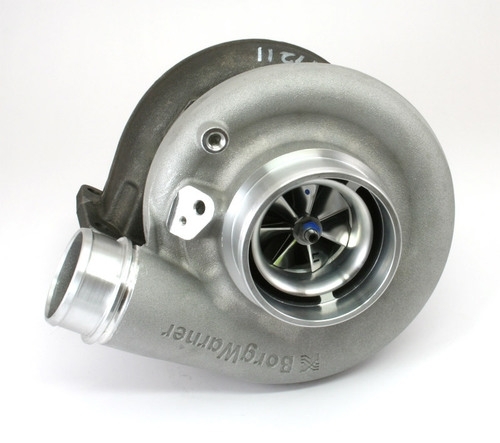 This BorgWarner S300SX3 Turbo has an A/R of .91, T4 inlet flange, twin scroll housing, 66 mm compressor inducer, 73 mm exducer, and an 80 mm turbine wheel. This is a complete turbo kit, ready to bolt on to any application with a horsepower range of 220-580 HP. Have any questions? Give one of our specialists a call. Check out our turbo header build kits for your complete turbo system, complete with true American made materials. With over 250 header flange designs on hand, we can meet your needs on any application.